I think this title in itself is enough of an explanation to describe how insanely exquisite this pie tasted! To start, I should tell you that I have never made a pecan pie before this one. It is on , I mean was on, my baking bucket list and I’m happy to scratch it off. This pie didn’t stand a chance! I baked it the night before Thanksgiving and my husband had been called in to work unexpectedly, so when he walked back in the door at 9:30 in the evening, his jaw dropped when he saw this on the counter. And I’m going to share a secret with you, just between you and me, no one else can know, we cut into this pie right then and there and each ate a slice! But don’t tell! This pie is so simple to make and it will most certainly not disappoint! My parents wanted to jump through the computer when they saw this one, all the way in Vermont, to snag a piece of this pie! You must give this recipe a try, and I mean must only if you don’t have a nut allergy! Here is the lowdown on this treat so you too can enjoy it! Preheat your oven to 350 degrees. Set your pie crust on the counter about 15 minutes before you need to prep your pie dish. When ready, place the crust in the pie dish and crimp edges. 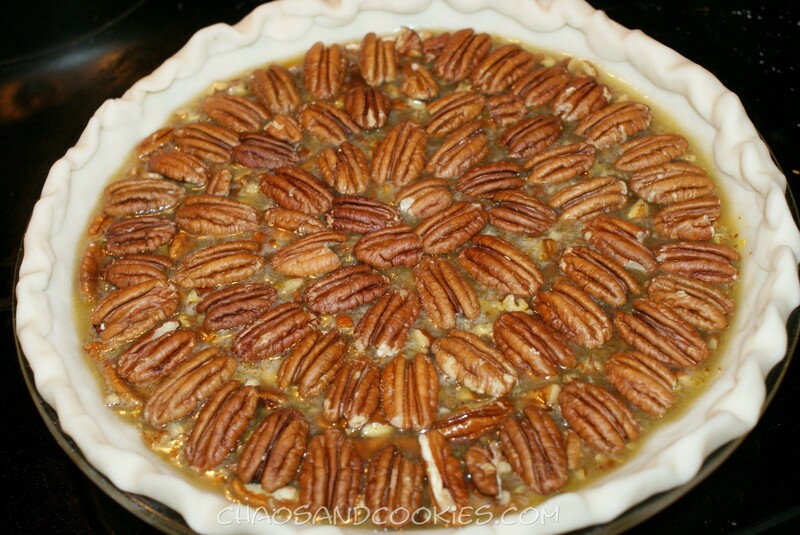 Place the halved pecans on the bottom of the pie crust, spread out evenly and set aside. In a large mixing bowl add your eggs, corn syrup, maple syrup, brown sugar, vanilla, melted butter, salt and finely crushed pecans. Mix together well with a spoon or spatula until mixed together well. 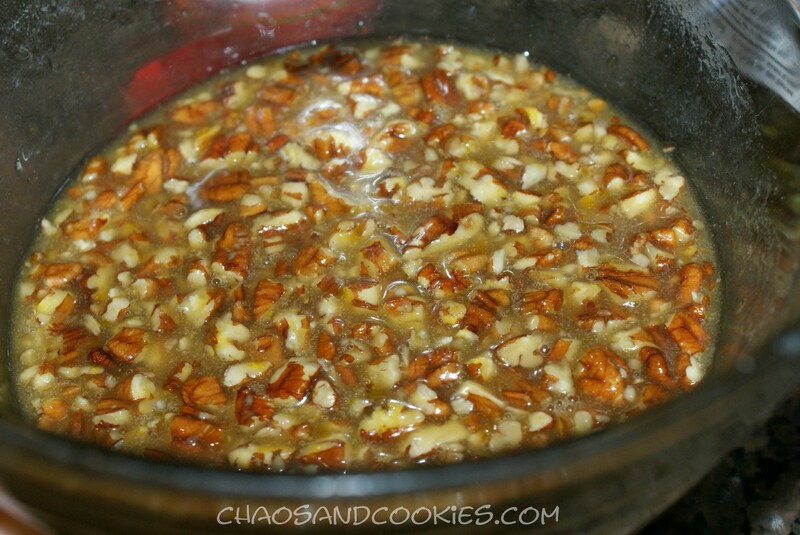 Pour this filling mix over the top of the halved pecans that are in the pie dish. 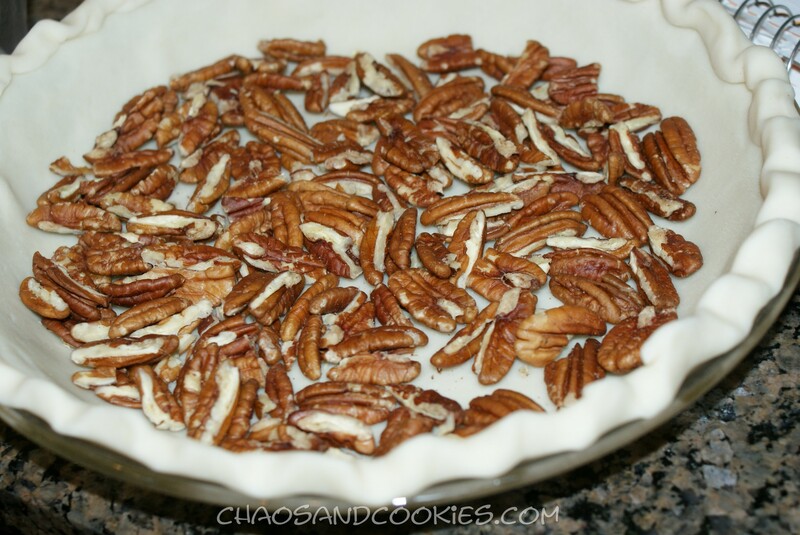 Carefully top the pie with the whole pecans until it’s completely covered. Bake at 350 degrees for about an hour or until done. Slice and serve! Thank you! I will for sure be making many more! That looks delicious! 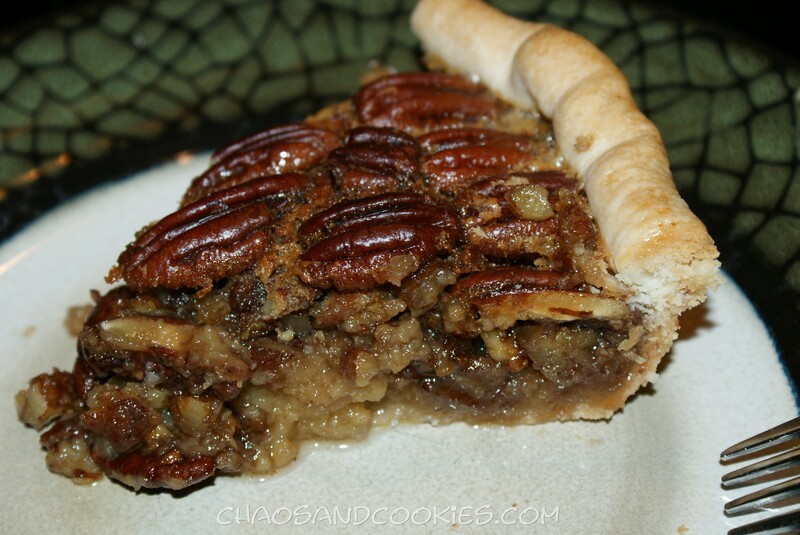 Pecan Pie is my absolute favorite! This looks so delicious, I love the pretty pattern on top! Thank you so much! I appreciate your sweet comment! This recipe looks divine! Perfect for the holiday season! Thanks! This looks delicious! 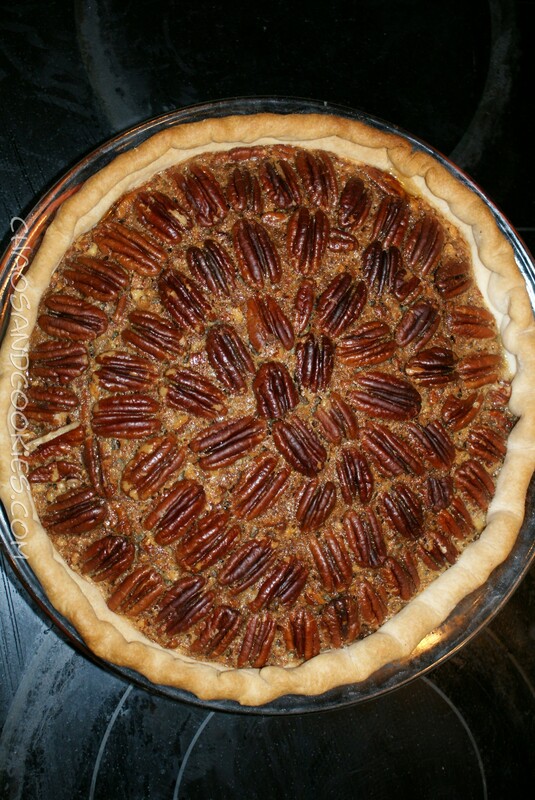 Great idea adding bourbon and maple syrup to a pecan pie 🙂 I love how you took the time to decorate the top so nicely. Thank you so much, I appreciate the nice comment!